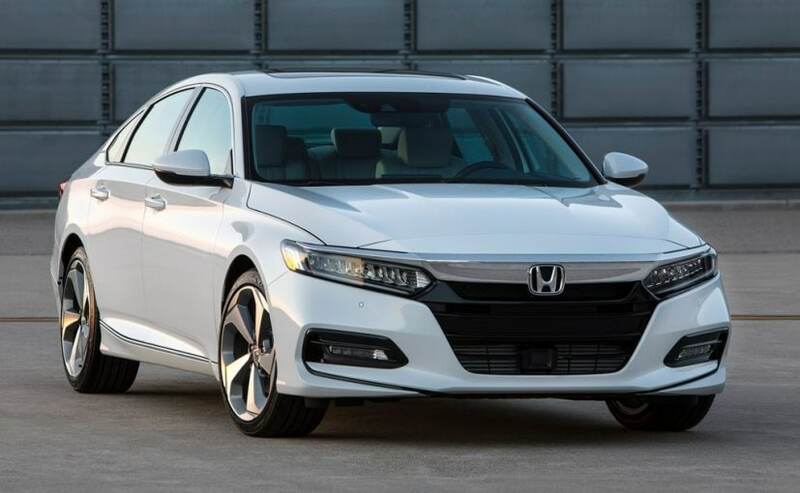 The 2018 Honda Accord has been officially unveiled in its all-new tenth generation avatar that gets smaller yet more powerful engines, more features, better proportions, but not a coupe version. The 2018 Honda Accord has been officially unveiled in its all-new tenth generation avatar. The Japanese automaker's extremely popular model made its debut at an event in the US and gets a bulk of changes including a more provocative design, improved dimensions as well as new and more efficient engine options. The sedan also adopts a more evolutionary styling but looks bolder than before and certainly better looking too. As order books open in the US for the new Accord, here's everything you need to know about Honda's all-new sedan. The 2018 Honda Accord now sports a 50 mm longer wheelbase and is also 10 mm wider than its predecessor. The length has been trimmed on the new model, while the roofline is shorter by 15 mm making for more compact proportions. 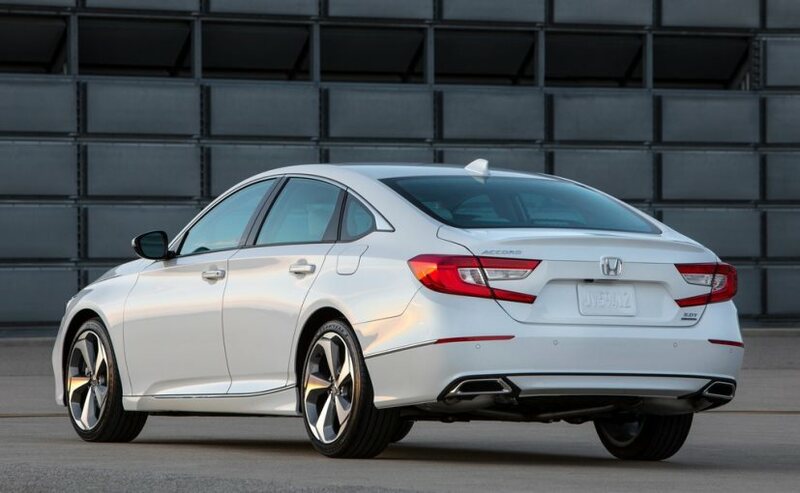 The design is evolutionary on the new Accord and as we told you earlier, gets its influences from the new generation Civic sedan. The massive single-frame grille is now and the coupe roofline merges seamlessly into the boot. We also like the new C-shaped LED tail lights. It also features a lower seating position and less overhangs over the older generation model. Practically, there is better legroom and more cargo space on offer as well. 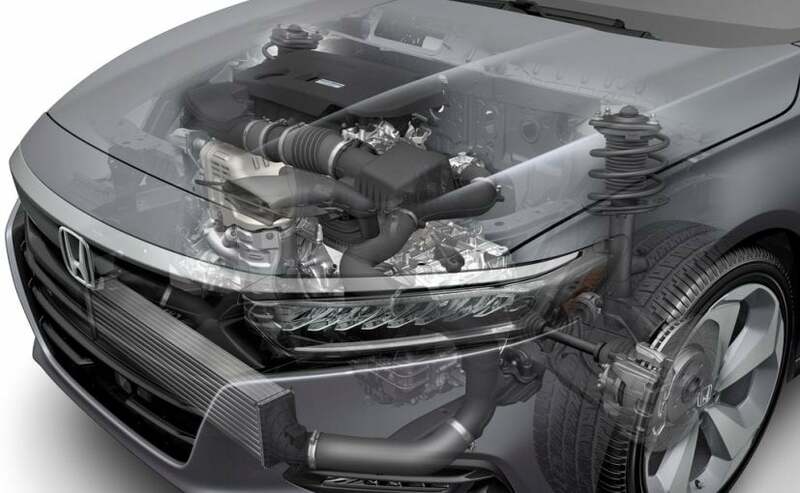 The new Honda Accord uses high-strength steel in more than half of the structure, which is bonded together with extensive use structural adhesives. The materials have helped the sedan help improve rigidity, crash strength, and reduce total vehicle weight between 50 and 80 kg on the model. 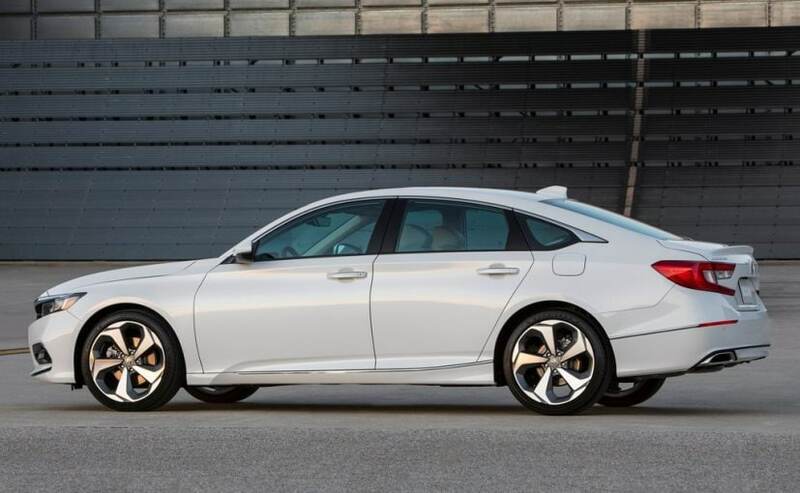 Interestingly, Honda had decided to drop the coupe version of the Accord for this generation. With respect to engine options, Honda has dropped the 2.4-litre in-line four and the V6 altogether. Instead, you get the much smaller and turbocharged 1.5-litre and 2.0-litre petrol engine options. We've seen the engines on the new Civic before. The 2-litre in-line four is the same unit as that seen on the Civic Type R, but tuned for much lesser output. On the Accord, it makes 250 bhp at 6000 rpm and 370 Nm of peak torque. The smaller 1.5 mill makes about 189 bhp and 260 Nm of peak torque. Transmission options include the CVT unit paired to the 1.5, while the 2-litre turbo comes paired to the all-new 10-speed automatic torque convertor. The 6-speed manual is still available on the Accord and is offered on the Sport variant. For those who appreciate hybrid power, the 2018 Honda Accord Hybrid is on sale as well with the 2-litre Atkinson cycle engine paired with electric motors. The outputs though are yet to be confirmed. Lastly, the new generation Honda Accord will come with two driving modes - Normal and Sport, with the latter tightening the power steering, transmission calibration, throttle map and more. The safety systems are also extensive and will include Collision Mitigation Braking System, Lane Departure Warning, Road Departure Mitigation, Adaptive Cruise Control, and Blind Sport Monitoring with Cross Traffic and Driver Awareness Monitors. The car will also get Apple CarPlay and Android Auto connectivity options. Honda will be manufacturing the 2018 Accord at the Marysville, Ohio plant in the US, while the engines will be built at the Anna, Ohia plant. Deliveries in the US will commence soon, while sales across other markets will begin in the following months. The India launch however, is still some time away and we do not expect the tenth generation Honda Accord to make it here before the end of 2018.